PanARMENIAN.Net - Euro-Football.ru has compiled a list of the 10 best football players from the countries of the former Soviet Union, which also includes captain of the Armenian national team and Arsenal midfielder Henrikh Mkhitaryan. According to the publication, after moving to England, Mkhitaryan has not been at his best. "First, the Armenian lost the confidence of Jose Mourinho and, as a result, his place in Manchester United, and now he is trying to reanimate his career at Arsenal,"the article says. 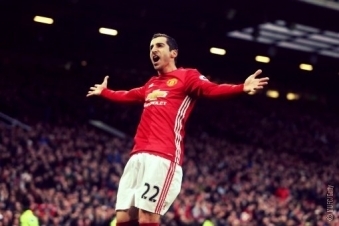 "Mkhitaryan does not shine, but he probably has not had his final say in English football. Fantasy: What is Pablo Escobar’s contribution to the world sport?